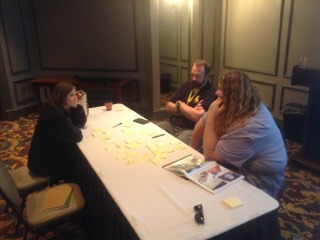 Ross spent the 10 and 11th of June in Lake Charles, LA presenting two workshops for the LA IAI annual training conference. First up on Wednesday was a four-hour workshop on methodology for crime scene reconstruction. After a 1.5 Hr lecture, student participants were required to apply the concepts presented to evaluate an actual homicide case and decide if they could refute or corroborate a testimonial claim by a subject. On Thursday a shooting incident reconstruction (SIR) workshop was on the agenda. Once again, following a lecture, students were presented with a hypothetical police shooting and applying basic SIR concepts asked to refute or corroborate two different claims about the incident.